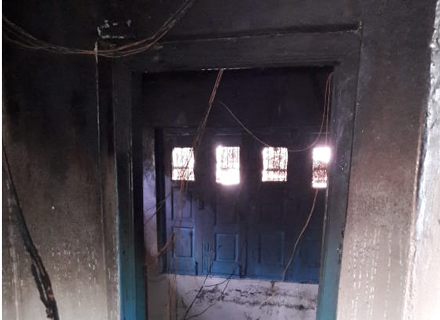 Unknown persons on Saturday set ablaze a Panchayat Ghar in Nutnussa village of north Kashmir’s Kupwara district. Witnesses said that a Panchayat building was set on fire in Reshwari Khan Mohalla Saturday evening by unknown persons. Firemen rushed to the spot as soon as the news of the incident was received, officials said. Reports said that the fire erupted around 7:30 pm.